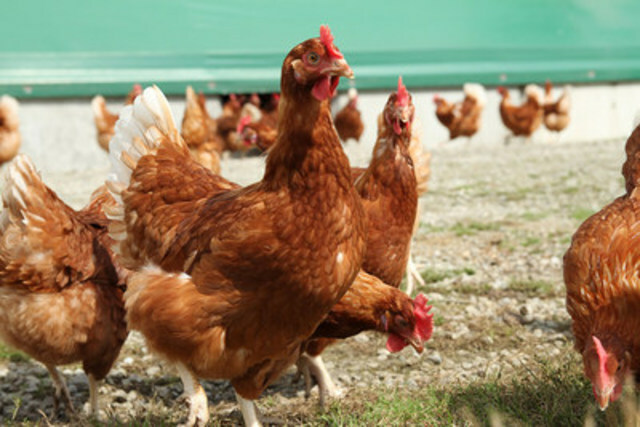 TORONTO, Feb 5, 2016 /CNW/ - World Animal Protection applauds the Egg Farmers of Canada's announcement of an industrywide phase out of conventional barren battery cages in Canada. The Egg Farmers of Canada is a national non-profit industry group responsible for the management of the Canadian egg supply and the standards of care and housing that producers must follow. "The Egg Farmers of Canada's announcement marks a huge milestone in improving the lives of laying hens," says World Animal Protection Canada's Executive Director Josey Kitson, "it makes Canada a global leader in the care of hens and one of the few regions to have banned battery cages." Today, more than 90% of Canada's 28 million hens live in battery cages. Hens in battery cages live in a space the size of an iPad and are unable to move freely, stretch their wings or exhibit natural behaviour such as nesting, foraging and dustbathing. This commitment will allow producers to choose between cage-free options or enriched cages. Enriched cages, while an improvement over barren battery systems, still keep hens caged in confined spaces. The Egg Farmers of Canada's announcement comes on the heels of commitments by iconic brands like McDonald's, Tim Hortons and Cara Foods to source eggs from cage-free systems. "While the industry begins the transition away from battery cages to other housing systems, recent corporate announcements and changing consumer expectations show that cage-free options like free-run and free range should be the standard," continues Kitson, "we believe that cage-free is the best option and more than ten thousand Canadians have taken our Choose Cage-Free pledge proving that they agree. Canadians want eggs from hens that are not kept in any kind of cage".